“Just weeks after everyone left all the music, all of the songwriting, it just began to flow immediately as if a tap was opened,” says Pharis. “There was suddenly this space for all those months of really big feelings–having our son, dealing with loss and change, and receiving so much love and support–to be gathered into this big swirl of ideas, feelings, and melodies. It just all started coming out like crazy.” Having been together for a decade, making music together, working together, and parenting together, the Romeros are at their strongest and most free on Sweet Old Religion. “Our lives have become so intertwined, even our phrasing and vocal cadences match like family,” says Pharis. 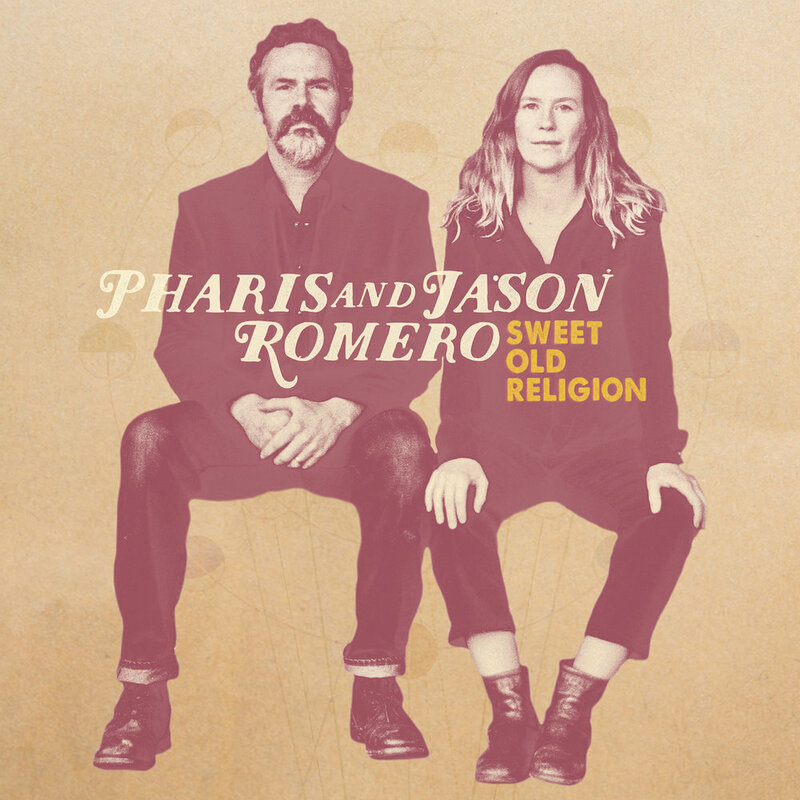 In keeping with their handcrafted and homemade family business disposition, Pharis and Jason sought to make as much of the album live in their home as possible. Turning one side of their reconstructed instrument shop into a studio, they recorded with engineer John Raham and producer Marc Jenkins. The album also features Patrick Metzger on bass, John Reischman on mandolin, Josh Rabie on fiddle, and Raham and Jenkins joining them on drums and pedal steel. Musically, Sweet Old Religion carries a wide spread of influences, spanning from early 1920s jazz, blues, and country to 1960s songwriters like Levon Helm and The Band. The album also features songs inspired by their deep love of old music and rural life, with archaic banjo tunings where Jason moves between several of his own handmade instruments to bring out unique tones for each song.